If you spend hours on Instagram scrolling through pics of toned fitness models and impeccably dressed “influencers,” you’re definitely not alone. Instagram is one of the most popular social media apps out there — boasting more than 700 million users worldwide — and it’s also the most detrimental to the mental health of young people, according to a new study. The Royal Society for Public Health in the U.K. spoke to nearly 1,500 people between the ages of 14 and 24 for its #StatusofMind study. The researchers were determined to find out how different social media platforms — including Instagram, Snapchat, Facebook, Twitter and YouTube — impact young adults when it comes to anxiety, depression, sleep problems and self-esteem. The survey concluded that Instagram had the most negative impact on young people — especially on young women — followed by Snapchat, Facebook and then Twitter. “Platforms that are supposed to help young people connect with each other may actually be fueling a mental health crisis,” notes Shirley Cramer, chief executive of the Royal Society. Surprisingly, the only social media app found to have a positive impact on mental health was YouTube. While the researchers did find that Instagram can be a positive platform for self-expression and self-identity, they also found that the platform can negatively impact body image and sleep in young women. What’s more, the app can contribute to young people’s FOMO (fear of missing out). 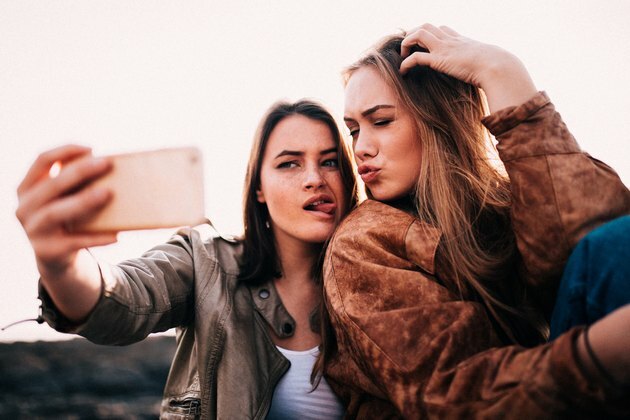 According to CNN, study author Matt Keracher believes that young women “compare themselves against unrealistic, largely curated, filtered and Photoshopped versions of reality” when using the app. One female in the report stated, “Instagram easily makes girls and women feel as if their bodies aren’t good enough as people add filters and edit their pictures in order for them to look ‘perfect.’” This would explain why Snapchat, another site that relies heavily on filters, is the runner-up offender when it comes to causing mental health issues. And it’s not just what people are looking at on social media, but how long they are looking at it that influences their mental health. Young people that spend more than two hours per day on social media are more likely to be negatively impacted when it comes to mental well-being. The Royal Society for Public Health recommends that social media platforms require warnings and disclaimers on altered or filtered images so young people can easily distinguish what is real and what is not. Although there currently isn’t an official way to tell if a photo or video on social media has been Photoshopped or filtered, this study is an important reminder that things aren’t always as they seem — especially when it comes to Instagram, Snapchat and Facebook. People rarely post “imperfect” photos, videos showcasing the monotony of their day and comments about how insecure they are. And that’s exactly why you should not compare yourself to other people on social media, stay off of it when you need to and limit the time you spend each day scrolling through your feed. In your experience, is Instagram the worst offender of all social media platforms when it comes to mental health? Do you think social media sites should feature disclaimers if a photo has been digitally altered? Let us know in the comments!